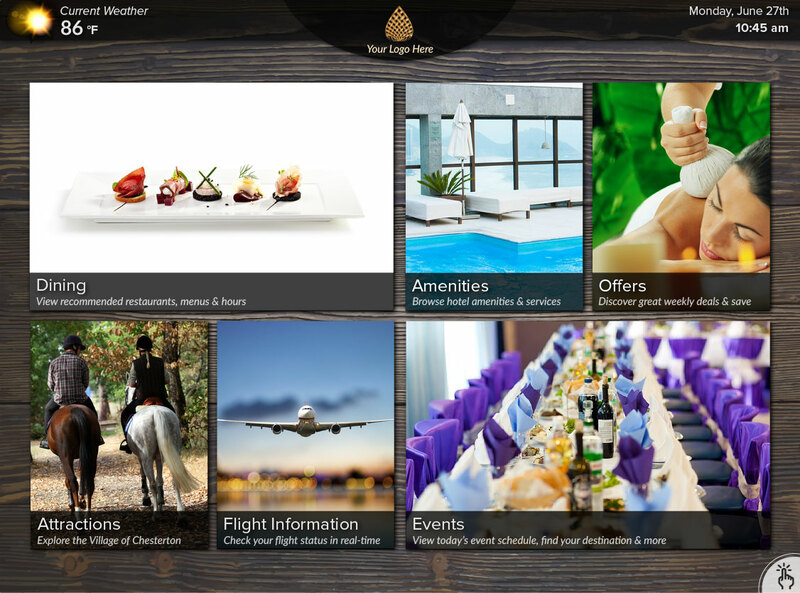 Our Virtual Concierge solution is the ultimate, centralized resource for your guests. Upon arrival, visitors interact with this customized application and plan their stay with ease, accessing your every offering and recommendation. Drive additional sales by promoting specials, on-site dining and retail options. Even boost the efficiency of your operation with this interactive, self-service based solution, allowing guests to access property maps and event schedules quickly and independently. By the time your guests check-out, instill confidence in their travel plans by providing flight information and weather forecasts. 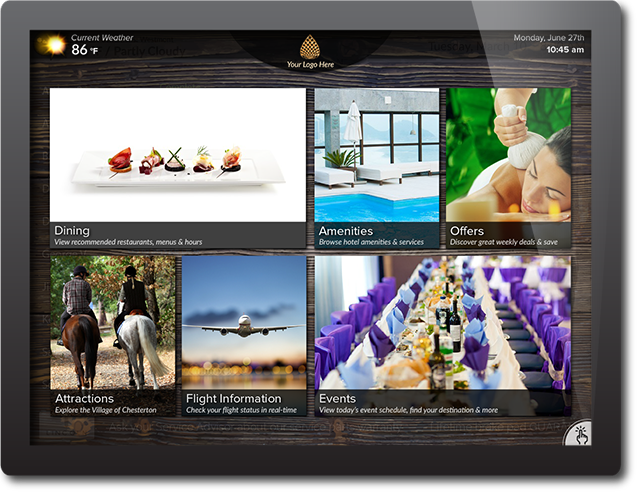 The Virtual Concierge gives your visitors the power to create memorable itineraries, while generating revenue and improving productivity internally. The Perfect Option for Hotels, Resorts and Convention Centers!